Since launch, the PlayStation Vita has floundered in the west. Almost as if it were destined to follow in the footsteps of its predecessor, the PSP, Vita sales in North America and Europe have never come close to its Nintendo competition, despite heavy-hitting series such as Assassin’s Creed and Uncharted receiving their own Vita-exclusive installments. When the Vita and PS TV were declared “legacy platforms” in North America and Europe in 2015, it became clear that just three years after release, the Vita had already been relegated to the sidelines. However, despite never quite finding a foothold in the West, the Vita has slowly but surely established itself as a competent handheld in Japan. From tear-jerker visual novels to toe-tapping rhythm games, Vita owners have an ever-growing library of titles to choose from. One genre that has made the Vita its home is otome games, or dating sims aimed at women. While it may seem wild to market a whole genre specifically towards women, otome games do exactly that. Popularized in 1994 with the release of Angelique for the SNES, otome, or “maiden” games insert the player into the role of a female protagonist in story-heavy narratives where the goal is to pursue romances with a number of suitors who are almost always male. Gameplay-wise, they can range from stat management simulators to RPGs, but the vast majority are visual novels, where text-based decisions decide how the branching storyline will play out. Despite its dedicated fanbase, it can be hard to understand the appeal of otome games for someone new to the genre. Though things are certainly changing, nerd media such as comic books and video games have historically been viewed as a “boys club” in the West, an outlook that has influenced marketing decisions as well as popular culture representations of the “gamer nerd” despite numerous studies suggesting that women are doing as much, if not more, gaming than men. On the other hand, the Japanese manga, anime, and videogame industries have long acknowledged women as a lucrative market. Otome games are just one form of media in a vast industry that caters to an extremely diverse range of interests, but they continue to thrive because they appeal to the desire to live vicariously through the protagonist of a shojo (girls’) anime romance. To a casual observer, it may seem easy to write off otome games as shallow romances that bait women with illustrations of pretty boys. However, to many, romancing pretty boys is a breath of fresh air in an industry that markets its latest AAA hits using pinups of scantily-clad women and game of the year lists that are dominated by games filled with grit and carnage. From an otome version of Kenka Bancho: Badass Rumble to a sadistic vampire series that would make Twilight fans blush, otome games have as much diversity as there are genres of video games. With three major English Vita releases in 2015, otome games are also slowly gaining recognition in Western markets. In Japan, however, there is virtually one new otome game released per week, with whole magazines dedicated to providing news to fans of the genre. Over the years, the PlayStation family of platforms has largely been the console home of otome games, with only the occasional release gracing the Nintendo DS or 3DS. 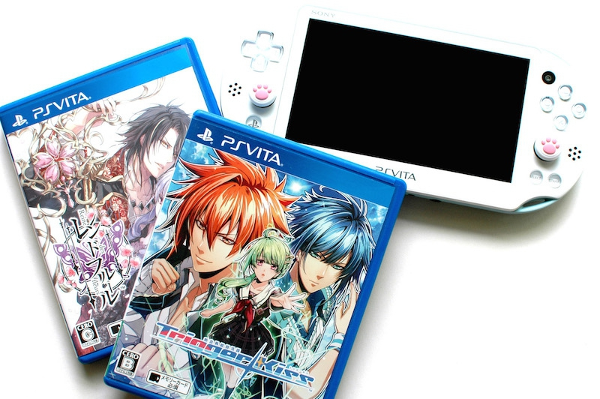 In fact, the PSP was so popular for otome games that new titles continue to be released on the platform today both digitally and on physical UMD, such as the upcoming Kamigami no Asobi Ludere deorum InFinite, which launches this April on both PSP and Vita in Japan. The fact that otome games continue to come out on the PSP is undoubtedly a result of the slow adoption rate of the Vita among fans. Regardless, in terms of sheer number of titles released, otome games are dominating the Vita market. 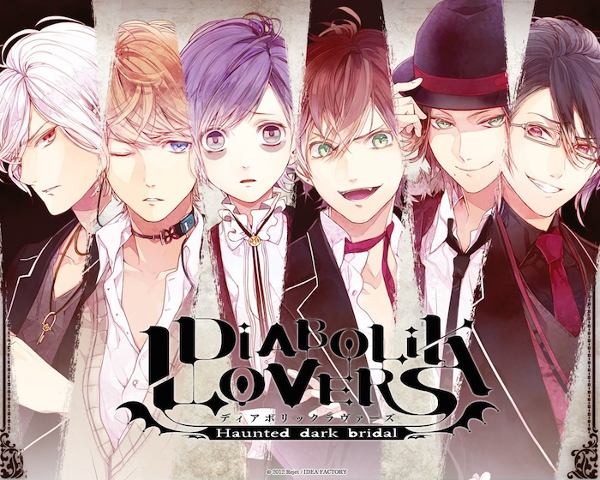 Vita ports of popular titles PSP such as Diabolik Lovers, Amnesia, and the highly anticipated Uta no Prince-sama Repeat re-release are helping to cement the Vita as the go-to platform for otome games in Japan. The question remains, if otome games continue to be so popular in Japan, why aren’t more titles receiving English localizations? Despite the large numbers of otome game releases every year, they sell relatively small numbers to a very specific audience, with drama CDs, anime adaptations, and merchandise making up a significant revenue source for their respective companies. Development costs are kept to a minimum due to the text-heavy, 2D format, but the text-heavy nature of visual novels also makes them more expensive and time-consuming to localize. However, with the Vita no longer receiving first-party support in North America and Europe, its niche platform status may seem perfect for an onslaught of otome game releases. It’s probably no coincidence, then, that 2015 saw Western releases for Amnesia: Memories, Code: Realize ~Guardian of Rebirth~, and Norn9: Var Commons, all within the span of a couple of months. As the Western market slowly but surely marches toward increased diversification, these titles offer much needed romances from a feminine prospective. For those new to otome games, any one of 2015’s Vita releases would be a great place to start. Each game is a slightly different take on the genre, together offering a cross-section of the range of styles and themes represented in otome visual novels. Amnesia: Memories is the first entry in one of the most popular otome game franchises in Japan, while Code: Realize ~Guardian of Rebirth~ features a kickass heroine, steampunk setting, and suitors based on literary characters. Norn9: Var Commons, on the other hand, has the unique option of allowing the player to choose from one of three different protagonists, each with their own different set of suitors. While that is the current extent of English otome games on the Vita, the PSP also has a couple more titles up its sleeve. Hakuoki: Demon of the Fleeting Blossom stands out as the first handheld otome game to be localized into English, and is packed with samurai angst. Meanwhile, Sweet Fuse: At Your Side proves that love can be found even in a game of life or death, while also managing to fit in a guest appearance by Mega Man creator Keiji Inafune. For those who would prefer not to dig out their PSPs, both Hakuoki: Demon of the Fleeting Blossom and Sweet Fuse: At Your Side can be purchased digitally for the Vita as well. Playing and discussing these titles will help ensure the Vita lives on as a home to otome games both in Japan and the West, for many years to come.